The ATY Shoulder Drill is a powerful series of exercises designed to enhance shoulder strength, stability and overall range of motion. These three popular exercises target the Serratus Anterior, Upper Trapezius, Middle and Lower Trapezius. For video explanation purposes, the overall upper back and shoulders. 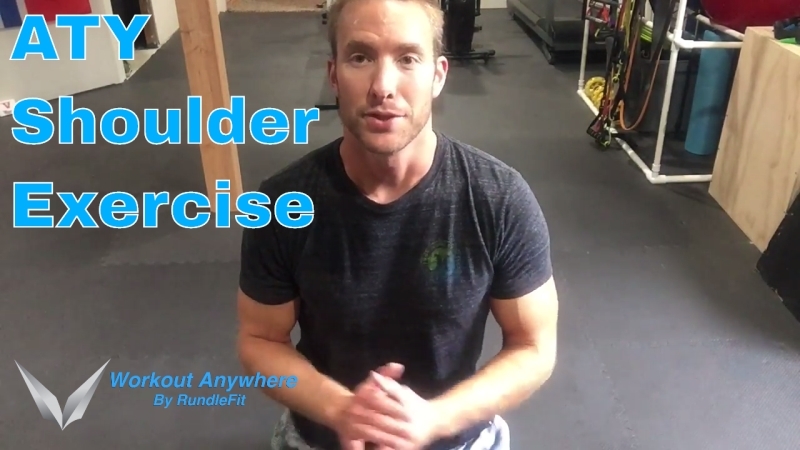 Watch the video below, and then review the written ATY Shoulder Exercise tutorial, plus alternatives for beginners and advanced users. Start by laying on the floor (best for beginners), and thinking of the alphabet. Your body will look like an A, then a T, and then a Y in those respective positions. Try to lay flat on the floor, unless you can perform the movements in the video well. Do this routine without additional weight for a couple weeks and 2-3x per week. If you’re able and more advanced, we recommend an additional core training bonus of a slight isometric arch for the core (primarily lower back) to receive an additional bonus much like a Superman. Only use this add on, if you’re retracting your shoulder blades correctly. Nice work today! Leave your comments below for coaching pointers!